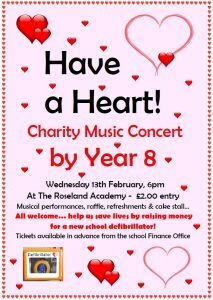 Everyone is invited to attend our Year 8 ‘Have A Heart’ concert on Wednesday 13th February, a fundraising evening of musical entertainment presented by Year 8 students, who will be giving a range of class and solo performances! 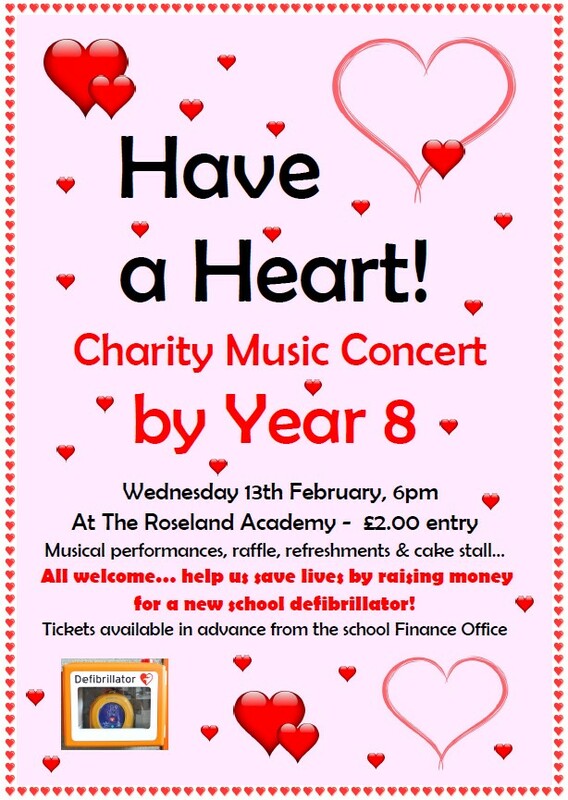 There will also be refreshments, a cake stall and a raffle, with all proceeds going towards a new defibrillator for the school. Tickets for this event are available in advance from the school finance office, priced £2.00 each, and any unsold tickets will be available on the door on the night.